While sailing on a crewed yacht charter on a luxury Turkish Gulet or other luxury charter yacht, take time to visit the Bodrum Maritime Museum in Bodrum, Turkey. 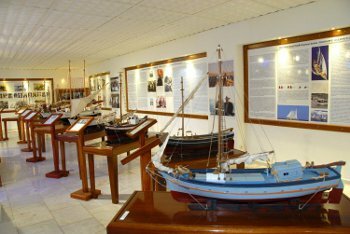 Bodrum is a center of luxury charter yacht and Gulet boat building in Turkey, and this museum offers a terrific history of the boat building that has taken place in and around Bodrum. 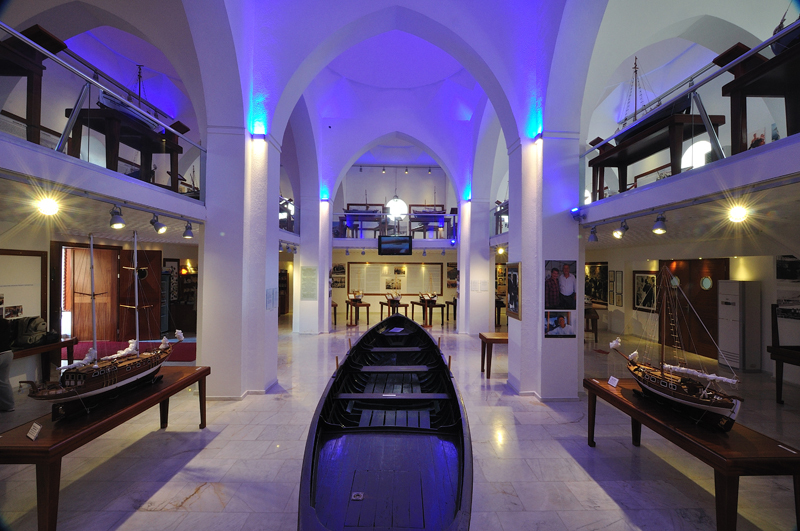 Whether you start, finish or just visit Bodrum on a crewed yacht charter along the southern Turkish coast be sure to stop in the Bodrum Maritime Museum to discover the history of boat building in Bodrum and Turkey. Bodrum, Turkey is one of the most import seafaring and boatbuilding centers of Turkey, with boat building yards scattered around Bodrum and along the coast of the Bodrum Peninsula. Bodrum is one of the original areas of boatbuilding with boatyards building the famous Turkish Gulet, now a staple in the Turkish yacht charter market for cruising along the southern Turkish Coast on a crewed yacht charter. 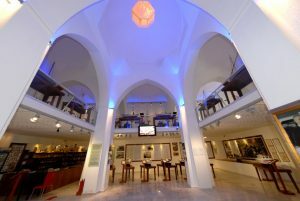 Several well-known Turkish charter yacht Gulets/sailing yachts, Regina and Primadonna that are now available for luxury yacht charter in Turkey were built in Bodrum. There are thousands of charter yachts in Bodrum harbor and great new marinas have been built both in Bodrum and in the general area. Today, Bodrum is becoming well known, not only as a yacht charter center in Turkey, but also for sailing regattas including the annual Bodrum Cup Regatta for Gulets, where these luxury ladies of the sea strut their stuff. 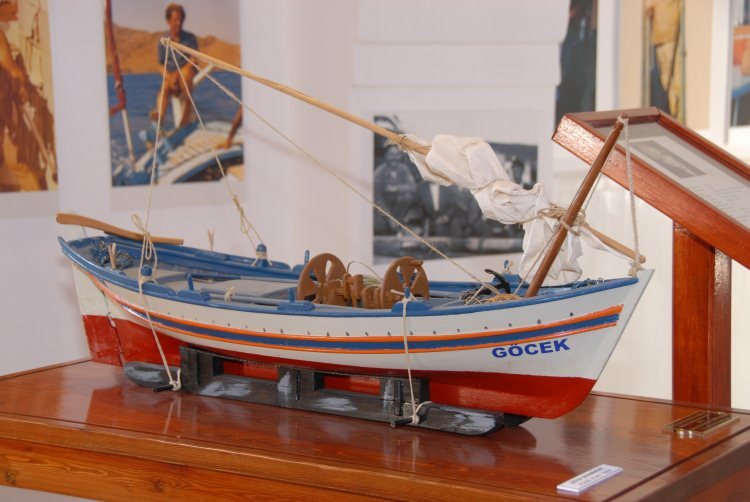 Just opened in October of 2011 in the center of Bodrum, the Bodrum Maritime Museum not only celebrates the history of Gulet boat building in Bodrum, but also the seafaring history of Bodrum including cargo hauling, fishing, and sponge diving. Within the museum are displays including models of various vessels that plied the waters out of Bodrum Harbor and old photographs donated by Bodrum maritime families. Also, find an exhibit of the famous Turkish Author Cevat Sakir Kabaagacli, also known as the Fisherman of Halicarnassus, who once made his home in Bodrum for 25 years. 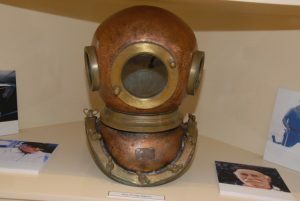 Stop in the Bodrum Maritime Museum, while on a yacht charter itinerary including Bodrum, and learn about the history of boatbuilding, especially yacht charter Gulet boat building, and the history of fishing, cargo hauling and sponge diving of this age old maritime and yacht charter center: Bodrum, Turkey.